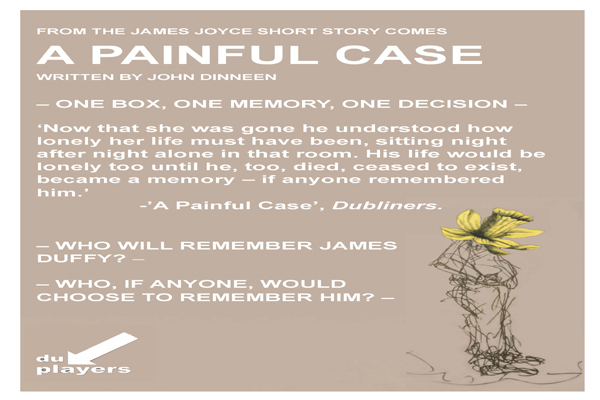 John Dinneen, who is currently following the MPhil in Irish Writing in the Oscar Wilde Centre, has written a new stage adaptation of James Joyce’s short story ‘A Painful Case’, from Dubliners. Running from 11 to 15 December in the Players Theatre, this is a brilliant experimental piece, in which a different performer will take the lead role every day. Many congratulations to John!